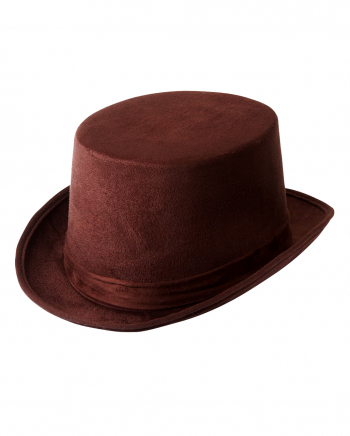 Our brown cylinder suede look is an excellent accessory for numerous costumes. Whether you want to dress up as a noble gentleman, bloodthirsty vampire or mysterious magician: With the cylinder on the head you are guaranteed to make a good figure! Submit your costume to the next Halloween and themed parties with harmonious accessories!